Why Undergo Gastric Plication in India? Weight loss surgeries have given hope to many people who are keen on shedding weight, but are unable to do so with conventional methods. Though bariatric surgeries can be very effective, yet their costs can be a dampener for quite a few. For such people, opting for stomach plication or gastric plication in India can be a very good option. Weight loss surgeries in India, besides being easy on the pocket, are quite effective in helping people achieve their target of curbing obesity. Here is an interview of an Indian obesity surgeon on stomach plication. Obesity is spreading its tentacles around the globe at a very fast pace. As per a WHO report, nearly 700 million obese people will be walking on this planet by 2012. No wonder the science community is looking into options with a great sense of urgency for giving obesity a tough fight, before it devours the multitudes around the world. Of late, gastric plication has been hailed as the new-kid-on-the-block in the world of bariatrics. As per reports of a study published in the Internal Medicine News, gastric plication can lead to tremendous weight loss among the morbidly obese people (with BMI of 40 or more). If you have decided to go to India for gastric plication surgery, you must make sure that you are aware of the details of the procedure, expected outcome and possible complications.Gastric plication is a reversible weight loss surgery which involves reducing the size of the stomach to nearly one-fifth of its original size. Also known as gastric imbrication or laparoscopic greater curvature plication, this procedure is quite similar to gastric sleeve surgery – stomach resection, the only difference being that unlike the latter, which involves surgical removal of a major portion of the stomach, stomach plication involves folding back bulk of the stomach into itself and suturing it. The tissues of the larger curvature of the stomach are detached from it (gastrocolic omentum). A vessel-sealing device such as Ligasure or Harmonic Scalpel is used for this purpose. The intent is to form a tube out of the stomach by stapling it and reduce the gastric space in the patient. As a result, the patient feels sated after consumption of a small amount of food which initiates weight loss. The biggest advantages of this procedure are its minimal invasiveness and reversibility. One does not face food intolerance or dumping syndrome. Chances of bleeding or a leak along the staple line get eliminated. Patients are required to have a brief hospital stay of about two nights. It results in quicker weight loss compared to other obesity surgeries. Why Opt for Gastric Plication in India? There are numerous upsides of opting for stomach plication in India, some of which are outlined as under. Like the cost of any other bariatric surgery such as gastric sleeve or lap band surgery in India, cost of gastric plication in India is only a fraction of prices in the first world countries. Low cost of living in India, together with low labour costs, has contributed towards making medical treatments in India extremely affordable. This is a blessing for hordes of international patients without insurance cover. 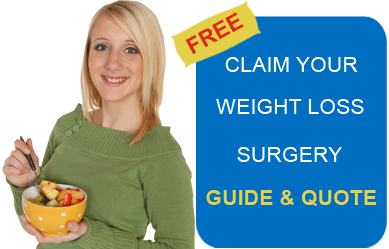 One may also get a loan for loans for weight loss surgery. The lower cost of gastric plication surgery in India does in no way reflect inferior medical standards. Low costs are merely indicative of a different delivery system of healthcare in India. India boasts of state-of-the-art hospitals spread across all the major cities of the country. The exceptional and excellent medical standards and the presence of nearly sixteen JCI accredited hospitals in India are making it one of the most popular destinations for medical tourism. Highly qualified and experienced doctors and bariatric surgeons in India have earned acclaim worldwide because of their competence levels. Many of them have undergone training in the top notch medical schools of the world. Travelling to India for obesity surgery can be tapped for combining healthcare with vacationing. Patients can include sightseeing in their itinerary to savour the scenic beauty of this country. Gastric plication in India could be of help to people who get the jitters at the thought of shelling out money for getting rid of that unsightly flab. Opting for weight loss surgery in India also gives you the chance to experience the vivid culture of this beautiful Asian country. Bariatric Surgery World facilitates affordable gastric plication surgery in India. For more information and FREE quote, submit the estimate–request form on the right .